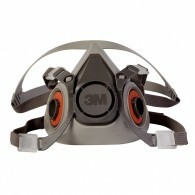 The 3M 4251 half mask respirator is part of the hugely popular 3M 4000 Series, these reusable masks are maintenance free and ready to use which makes them the most convenient dust masks on the market. Designed to sit comfortably on the face with adjustable head cradle and neck straps, while at the s..
ABEK1 Organic/inorganic vapours & acid gases & ammonia .. 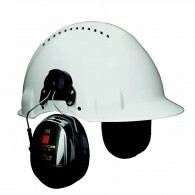 This series combines comfort and convenience Comfortable soft, lightweight facepiece with easy-to-adjust head straps NIOSH approved for negative pressure air purifying and supplied air dual airline applications Can be disassembled, cleaned and reused Replaceable cartridges and filters all..
Peltor Optime II earmuffs for direct mounting to side of hard hat or safety helmet. • Type E attachment. 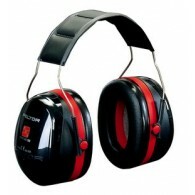 ..
Optime II ear defenders from 3M/Peltor has been developed for demanding noise-hazard environments (SNR 31dB) and muffles even extremely low frequencies to a maximum degree. The sealing rings are filled with a unique combination of liquid and foam. The result is an optimum seal with low contact press.. The 3M™ PELTOR™ Optime™ III Ear muffs have been developed for use in extremely high noise environments, particularly those dominated by low frequency sounds. This product is based on a technology featuring double cup design to help minimise resonance effect, resulting in excellent high frequenc..
100% Polyester with Reflective Tape (Body Bands & Braces) and Velcro Front .. Features: • Increased muffling at lower tones and higher volumes • Even pressure distribution • Unique 2-point attachment • Height adjustment and flexible adaption to size and shape of head • Low profile for compatibility with other PPE • Cup design offers generous depth ensuring t.. The Portwest PW20 is made with a supersoft polycarbonate frame, housing a crystal clear lens that complies with EN166 1B EN166 1B AS, AF Polycarbonate. 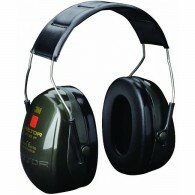 ..
Lightweight, foam-filled padded ear defenders with adjustable, reinforced headband for comfortable fit. 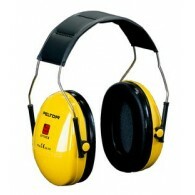 Features 27.6dB Standard Noise Reduction ABS Plastic Construction Surface Wipe Only Adjustable .. 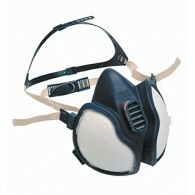 The Portwest P100 disposable mask offers excellent protection from a selection of dusts, mists and fumes up to 4 times the WEL. 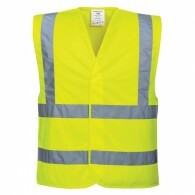 It is extremely comfortable so can be worn for long periods of time, and is ideal for multiple working environments. 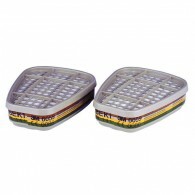 This product conforms to EN 149 FFP1 NR. 3 per pack ..